"Tasting Note: A fresh, precise style, offering apple, lemon and stony flavors that play off the lively acidity. Stays juicy and long on the finish. Drink now through 2021. BS". 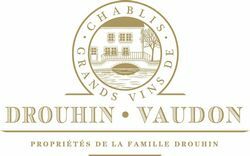 "Tasting Note: Peach, apricot and floral aromas and flavors hold court in this expressive Chablis. Vibrant, leaving a mouthwatering impression. Fine length. Drink now through 2022. BS".